Loisa Andallo's Instagram post was commended by her 3.9M followers. She post a picture of her in a swimming pool wearing a spaghetti strapped red top captioned, " wish ko nasa beach ako ngayon". Many of her followers shares admiration comments saying how pretty she was in a closed up photo. 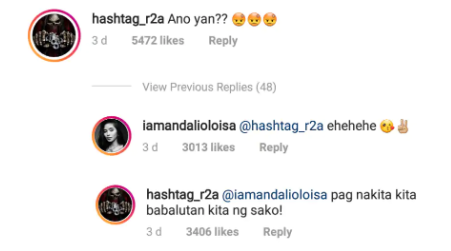 Even Ronnie Alonte commented on the photo calling out Loisa on the photo she shared.